The actor and comedian claims he's doing "quite well." Actor/comedian Russell Brand claims to be doing well following his much-publicized split with singer Katy Perry. 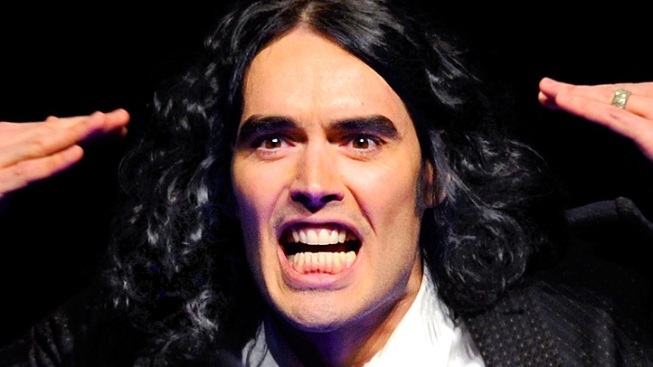 Russell Brand appears ready to put his split with Katy Perry behind him for good. While doing press for his upcoming FX talk show series "Strangely Uplifting," the British comedian fielded (albeit vague) questions about his current state of mind. "I'm quite well, thank you. Are you asking because of recent events?" he asked. "Well, I suppose what you're doing is you're making the mistake as seeing time as linear." He hopes his own upbeat state of mind will translate into his new series. "All I want is for people to feel better than they do now. That's all I want," said Brand. "All I want is to make people laugh and to make people happy. And as long as I stay in alignment with that, then I'm served by great forces." Brand also doesn't rule out the possibility of his personal life creeping into "Strangely Uplifting's" conversation topics. "I think there will be inevitable biographical elements because you can't speak from anyone's perspective but your own," he said. "Unless I was to bizarrely adapt some sort of avatar." Brand and the 26-year-old Perry split last December. "Strangely Uplifting" debuts on FX this April.